Nature has always been my ultimate inspiration. 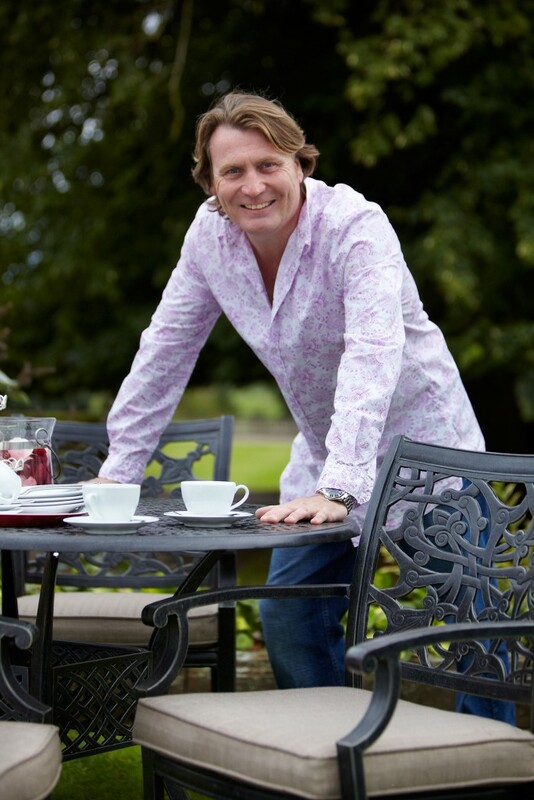 So when I came to design this new furniture range for Hartman, I wanted that passion to be at the centre of it. 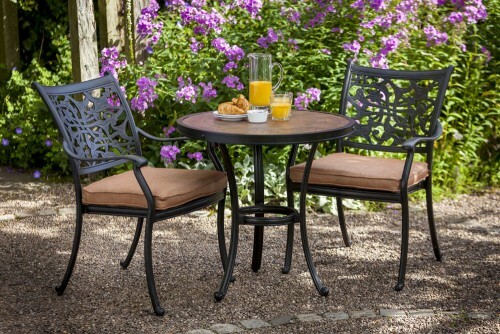 The exclusive Celtic set has growing strands of branches and twirling leaves which harmonise with the garden setting, drawing the eye through the open pattern so that they become a part of the outdoor room rather than dominating it. The rich pumpkin coloured cushions add a splash of warmth to the natural tones and classic feel of the set. 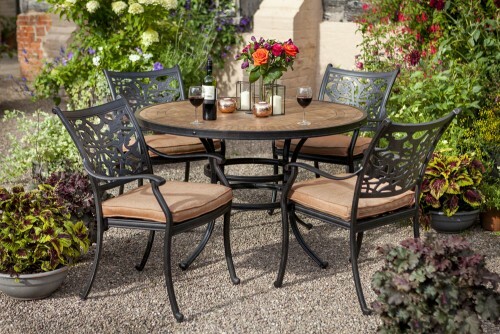 This stylish and sturdy outdoor dining set comes in three sizes: a rectangular set with six seats perfect for entertaining friends on those warm summer evenings; the smaller four-seater round set is great for a family afternoon BBQ; and the two-seater bistro set inspires romantic evenings in the setting sun. 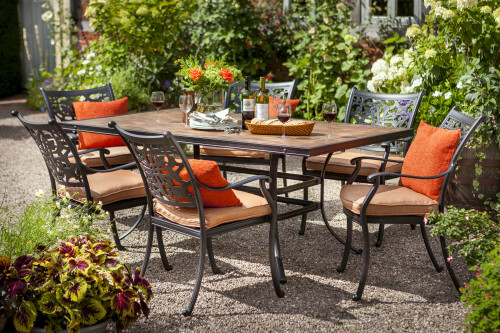 The pumpkin coloured cushions complement the natural look of the table top. A perfect addition to the garden, just in time for summer!